The Spark project contains multiple closely integrated components. 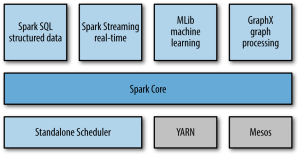 At its core, Spark is a “computational engine” that is responsible for scheduling, distributing, and monitoring applications consisting of many computational tasks across many worker machines, or a computing cluster. Because the core engine of Spark is both fast and general-purpose, it powers multiple higher-level components specialized for various workloads, such as SQL or machine learning. 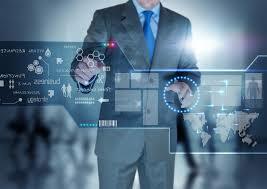 These components are designed to interoperate closely, letting you combine them like libraries in a software project. A philosophy of tight integration has several benefits. First, all libraries and higher-level components in the stack benefit from improvements at the lower layers. For example, when Spark’s core engine adds an optimization, SQL and machine learning libraries automatically speed up as well. Second, the costs associated with running the stack are minimized, because instead of running 5–10 independent software systems, an organization needs to run only one. 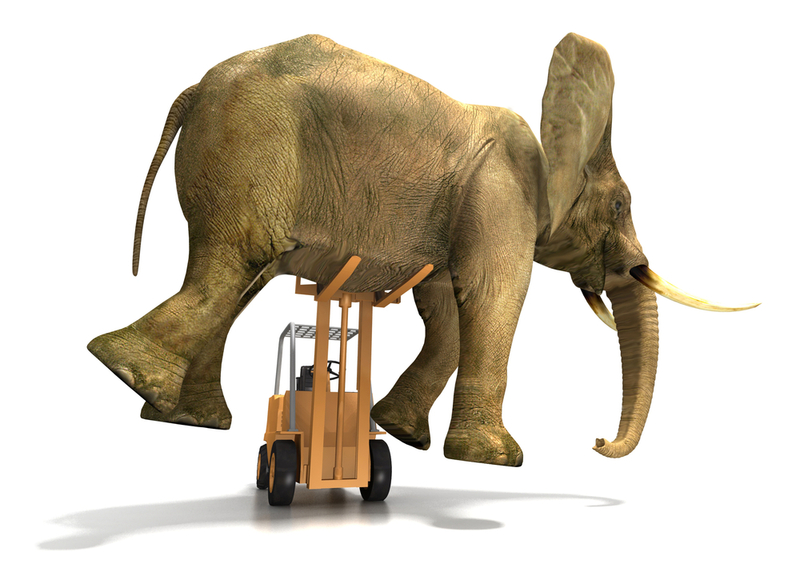 These costs include deployment, maintenance, testing, support, and others. This also means that each time a new component is added to the Spark stack, every organization that uses Spark will immediately be able to try this new component. This changes the cost of trying out a new type of data analysis from downloading, deploying, and learning a new software project to upgrading Spark. Finally, one of the largest advantages of tight integration is the ability to build applications that seamlessly combine different processing models. For example, in Spark you can write one application that uses machine learning to classify data in real time as it is ingested from streaming sources. Simultaneously, analysts can query the resulting data, also in real time, via SQL (e.g., to join the data with unstructured logfiles). In addition, more sophisticated data engineers and data scientists can access the same data via the Python shell for ad hoc analysis. Others might access the data in standalone batch applications. All the while, the IT team has to maintain only one system. Spark Core contains the basic functionality of Spark, including components for task scheduling, memory management, fault recovery, interacting with storage systems, and more. Spark Core is also home to the API that defines resilient distributed datasets (RDDs), which are Spark’s main programming abstraction. RDDs represent a collection of items distributed across many compute nodes that can be manipulated in parallel. 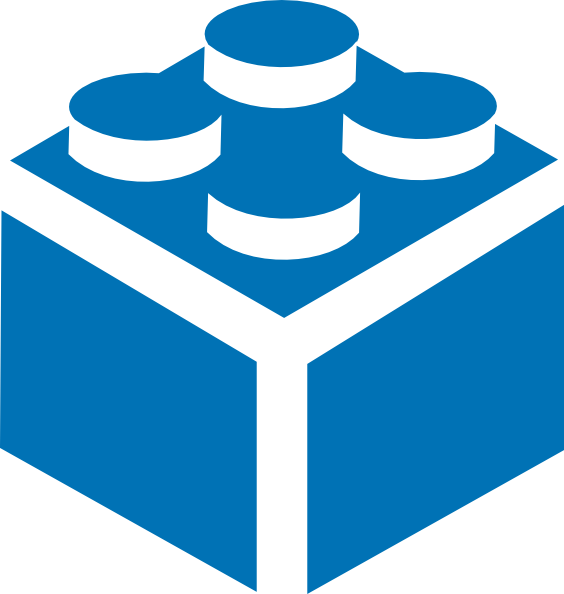 Spark Core provides many APIs for building and manipulating these collections. Spark SQL is Spark’s package for working with structured data. It allows querying data via SQL as well as the Apache Hive variant of SQL—called the Hive Query Language (HQL)—and it supports many sources of data, including Hive tables, Parquet, and JSON. Beyond providing a SQL interface to Spark, Spark SQL allows developers to intermix SQL queries with the programmatic data manipulations supported by RDDs in Python, Java, and Scala, all within a single application, thus combining SQL with complex analytics. 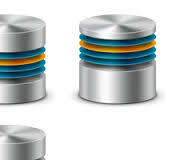 This tight integration with the rich computing environment provided by Spark makes Spark SQL unlike any other open source data warehouse tool. Spark SQL was added to Spark in version 1.0. Shark was an older SQL-on-Spark project out of the University of California, Berkeley, that modified Apache Hive to run on Spark. It has now been replaced by Spark SQL to provide better integration with the Spark engine and language APIs. 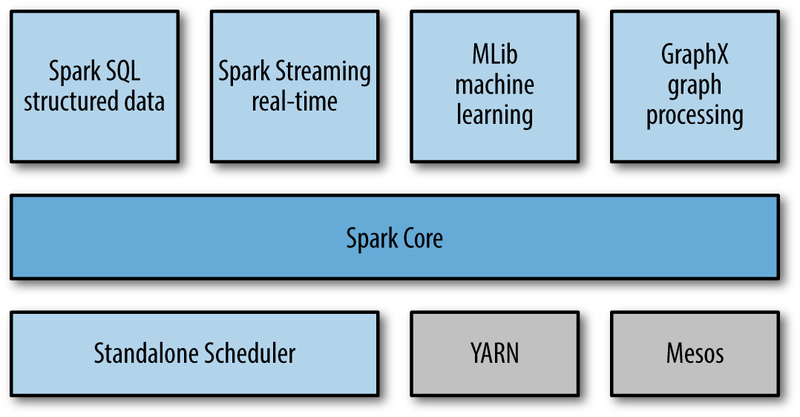 Spark Streaming is a Spark component that enables processing of live streams of data. Examples of data streams include logfiles generated by production web servers, or queues of messages containing status updates posted by users of a web service. Spark Streaming provides an API for manipulating data streams that closely matches the Spark Core’s RDD API, making it easy for programmers to learn the project and move between applications that manipulate data stored in memory, on disk, or arriving in real time. Underneath its API, Spark Streaming was designed to provide the same degree of fault tolerance, throughput, and scalability as Spark Core. Spark comes with a library containing common machine learning (ML) functionality, called MLlib. MLlib provides multiple types of machine learning algorithms, including classification, regression, clustering, and collaborative filtering, as well as supporting functionality such as model evaluation and data import. It also provides some lower-level ML primitives, including a generic gradient descent optimization algorithm. All of these methods are designed to scale out across a cluster. GraphX is a library for manipulating graphs (e.g., a social network’s friend graph) and performing graph-parallel computations. Like Spark Streaming and Spark SQL, GraphX extends the Spark RDD API, allowing us to create a directed graph with arbitrary properties attached to each vertex and edge. GraphX also provides various operators for manipulating graphs (e.g., subgraph and mapVertices) and a library of common graph algorithms (e.g., PageRank and triangle counting). Under the hood, Spark is designed to efficiently scale up from one to many thousands of compute nodes. To achieve this while maximizing flexibility, Spark can run over a variety of cluster managers, including Hadoop YARN, Apache Mesos, and a simple cluster manager included in Spark itself called the Standalone Scheduler. If you are just installing Spark on an empty set of machines, the Standalone Scheduler provides an easy way to get started; if you already have a Hadoop YARN or Mesos cluster, however, Spark’s support for these cluster managers allows your applications to also run on them.